Eastern Mennonite University will host its third annual Summer Peacebuilding Institute (SPI) Community Day Friday, Feb. 2. 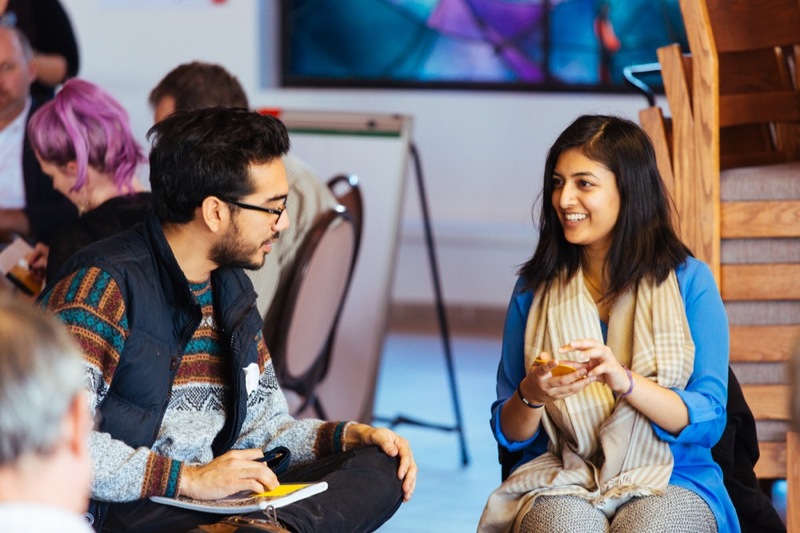 Titled “Practical Tools for Hard Problems in Our Communities,” the day’s workshops will offer practical tools and build skills for peacebuilding, conflict transformation in the workplace, and facilitation and community organizing. The day will also include a morning plenary speaker, opportunities for networking, and a lunch presentation by regional community leaders. The event is also designed to give participants a preview of the community atmosphere and courses offered at SPI, a program of the Center for Justice and Peacebuilding (CJP). SPI’s five sessions in May and June focus on a variety of topics including trauma awareness, restorative justice, leadership, program management and responding to violent extremism. More than 200 people from approximately 40 countries attend SPI each year. While the early years of SPI were geared more towards international participants, in recent years the program has also attracted local participants and responded to local situations. The 72 participants in last year’s Community Day represented a wide range of professional interests: offender reentry, youth empowerment, adult career education, mediation, climate activism and filmmaking. More than half were from Harrisonburg, with the remainder from Virginia, Maryland, Washington D.C., West Virginia and Pennsylvania. The Relational Importance of One-on-One Meetings, with Johonna Turner, professor of Restorative Justice and Peacebuilding, EMU. Registration cost is $50 ($25 for students), and includes two workshops, a catered lunch, plus a $50 application fee waiver for SPI 2018. Learn more about SPI Community Day here.